Choice of vacation destinations in India seem to be infinite; from scenic destinations to historically and culturally soaked sites, from cities bustling with chaos and confusion to destinations offering laid-back and relaxed stays. Amidst this huge list of destinations, there is always a dilemma of choosing a destination that is really worth a visit. Well! 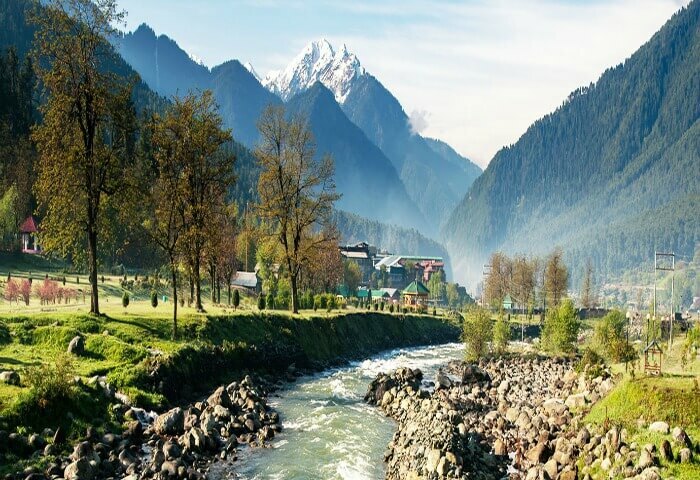 Relieving you of this dilemma, here is a list of top 15 destinations that make it to the list of ‘Must-Visit’ destinations in India for all travellers. Let’s now, find out the reasons as to why this is so. One of the most incredible places in India, Kashmir is known for its enthralling beauty and is rightly nicknamed as the ‘Heaven on Earth’. With its Picturesque lakes, striking fruit orchards, verdant meadows surrounded with thick woods of pines and deodars, lush green gardens teeming with vibrant flowers and captivating valleys enclosed with snow-covered peaks of Himalayan and Pir-Panjal ranges – Kashmir seems to have directly made its way out from a picture postcard. From enjoying a heavenly ‘Shikara boat ride‘ on the pristine ‘Dal Lake’, strolling through the beautifully manicured ‘Mughal Gardens’, soaking in the untouched pastoral beauty of ‘Betaab’ and ‘Aru’ valleys, paying your homage to ‘Amarnath ji’ standing amidst the ethereal natural beauty of the tiny hamlet of ‘Chandanwari’, relishing the moment of plucking a fresh walnut at one the ‘Walnut Orchards’, braving the strong currents of River Sind during white water rafting in ‘Sonmarg’ to revelling in the adventure of world’s highest Gondola ride at Gulmarg – the magic of Kashmir with its breath-taking vistas is sure to captivate your heart and soul forever. Make sure to buy some of the traditional Kashmiri handicrafts and handlooms items and do try out few of the state’s world famous ‘Wazwan’ delicacies before returning from a memorable holiday in Kashmir. The land of majestic snow-capped mountains, serene alpine glacial lakes, enchanting valleys and ancient colourful Buddhist monasteries, Leh-Ladakh is one of the ‘must-visit’ destinations in India for nature lovers and people seeking peace and serenity away from the busy city lives. Being home to plenty of serene alpine glacial lakes, some of the world’s highest mountain passes and high-altitude scenic trekking trails, Ladakh is also a dream destination for intrepid travellers and adventure freaks across India and different corners of the world. Be it the feeling of extreme spirituality and divinity listening to the chants and hymns of lamas in the ‘Hemis Monastery’, the tranquillity of ‘Pangong Lake’ offering an indescribable sense of peace and solitude, an unforgettable adventurous experience of trekking on the frozen ‘Zanskar River’, the fun of a unique sand-dune safari sitting on the back of Bactrian camel discovering the rugged landscapes of ‘Nubra Valley’ or the excitement of spotting a snow leopard in the thick of the ‘Hemis National Park’ – Ladakh has in its store, something for its every tourist. Being part of the colourful ‘Hemis Festival‘ is something which must definitely be on the itineraries of every tourist to the mystic land of Leh-Ladakh. Delhi, the bustling capital of India makes for one of the perfect travel destinations in India. A city of heritage monuments, teeming bazaars and mouth-watering street food reminding you of its rich past from the Mughal era to a city that is today, more cosmopolitan and contemporary with its sprawling boulevards, high-end malls, shopping complexes and luxury hotels & restaurants; Delhi is for sure, a true amalgamation of age old cultures and present day’s modernization. 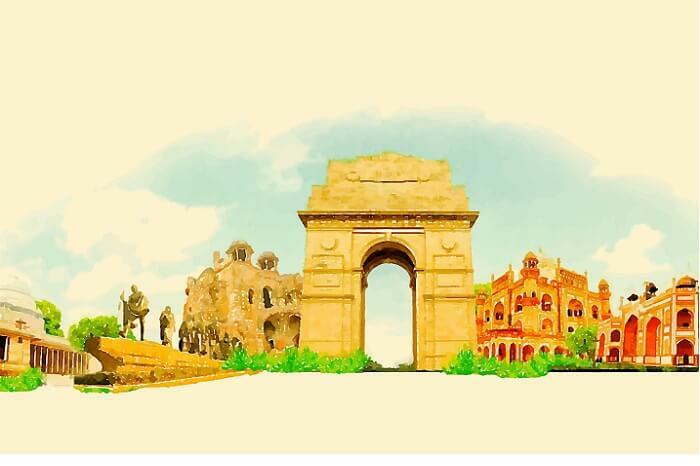 Be it a stroll through the narrow lanes of ‘Chandni Chowk’ relishing on its lip-smacking chaats, a real shopping fun in the streets of ‘Sarojini Nagar’ or more exotic ‘Delhi Haat’, a heritage walk through the awe-inspiring Mughal architectural masterpieces of ‘Humayun’s Tomb’ and ‘Qutab Minar’, a visit to the 700 years old ‘Hazrat Nizammuddin Dargah’, a lovely experience of relishing on some tasty cuisine sitting at a lake side café in the posh ‘Hauz Khas Village’, a memorable time at the lively ‘Kingdom of Dreams’ enjoying a musical Bollywood night, or a picnic time at the iconic ‘India Gate’; the list of ‘must-do things’ in Delhi has no end. One of the must-visit destinations in India, a trip to Delhi should definitely be on the travel list for all curious travellers, knowledge seekers and gastronomes looking out for a holiday trips in India. A city immersed in a splendid Mughal charm, Agra needs no introduction. Home to the eternal symbol of love, the iconic ‘Taj Mahal’, Agra finds one of the top most places on the world heritage map. Having to its acclaim of being the only city in the world glittering with three world heritage sites, Agra definitely makes it to the list of popular Indian travel destinations. 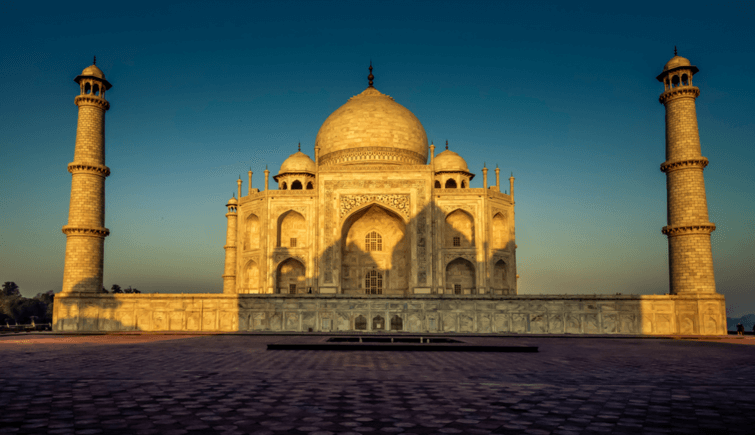 With its three gems, the impressive Taj Mahal, magnificent Agra Fortand splendid Fatehpur Sikri; the city lures thousands of tourists including historians and art lovers from all across India and the world. From savouring on the city’s authentic and traditional Mughlai flavours, shopping in the lively markets teeming with marble handicrafts adorned with fine inlay carvings and fine leather items, watching the epic of the timeless love between Shah Jahan and his beloved, Noor Jahan coming to life at the ‘Kalakriti Cultural & Convention Center’ to soaking your spirits in the enthralling fiesta of the ‘Taj Mahotsav‘, there is much more to do in the historic city of Agra than just exploring its monuments. For a more closer and adventurous face off with this cultural city, get on an off the beaten path journey and explore the narrow alleyways of the old city, ancient temples or visit the renowned poet, Mirza Ghalib’s birthplace. India is a land of cultures, religions and spirituality, therefore, an Indian exploration remains incomplete without a trip to the holiest city of Varanasi. Also known as the city of ‘Moksha’, the place holds a great religious significance for Hindus. Situated on the banks of sacred river Ganga, the city is believed to be more than 5000 years old. Bustling with enchanting ancient temples and holy Ghats crowded with people performing various rituals and prayers, Varanasi makes for an ultimate spiritual holiday destination in India. From paying homage to Lord Shiva in the famous ‘Kashi Vishwanath Temple’, taking a dip in holy waters of river Ganga absolving your sins, revelling in the spiritual aura of the divine Ganga Aarti during evenings on the ‘Dasaswamedha Ghat’, taking a walk along the Ghats watching life flow by, exploring the chaotic and colourful streets teeming with life to gorging on its delicious ‘Benaras ki Chaat’ or indulging in a unique shopping experience of musical instruments and world-renowned ‘Benarasi Silk Sarees’; Varanasi is indeed an incredible place to visit in India. Also known as the ‘Land of Golden Sand’, Jaisalmer in Rajasthan is a beautiful city known for its rich cultural heritage and stories of bravery and chivalry of the great Rajput rulers. An exotic city set amidst endless stretches of golden Thar Desert, Jaisalmer spells a magnetic pull at travellers sitting in different corners of the world. Be it the magnificence of the ‘Sonar Quila’ or the ‘Jaisalmer Fort’ beaming in its full glory, the magical charisma of the ancient ‘Salim ji ki Haveli’, ‘Nathmal ji ki Haveli’ and ‘Patwon-ki-Haveli’ reminding us of the royal grandeur of erstwhile wealthy Rajput merchants, an enthralling experience of ‘Sand Dune Bashing’, a rustic charm of a ‘Camel Safari’ exploring infinite stretches of golden sand or an unforgettable culinary experience of authentic Rajasthani cuisine; Jaisalmer impresses its every visitor with an extensive range of cultural offerings. The annual ‘Jaisalmer Desert Festival’ is a visual treat to eyes and it makes much sense to plan for a holiday trip to Jaisalmer during this festival. Folk dances, cultural musical performances, campfires under open starlit sky, enthralling camel shows, local haats selling exquisite jewellery and handicrafts; exuberance and vivaciousness of this gala event can be seen at every nook and corner of the city. One of the most colourful and vibrant places, Jaisalmer, for sure is one of the most striking places to visit in India. Previous Previous post: How to Choose a Best MOBILE.